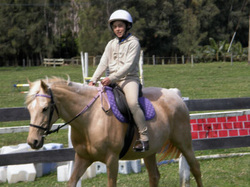 Posting trot, sitting trot, changes in figures riding (longitudinal, transverse and diagonal). Working with easels: walking first and then trot in which the rider is acquiring the required position then used for diving. Seat, Position, Supports: seeking correct application of practical techniques. This level concludes with the first gallops at two hands, changing direction, through jogging and step up to achieve good control of the horse. With experienced horses may also be drilled in step backwards. The teaching task is to observe, evaluate, correct, and encourage the student continuously throughout the class. The goal is to create the ideal environment to motivate the student to a steady and methodical work.